Design challenges get our blood pumping. There’s an adrenaline rush in every sport. It's the same for planning & design. Whether you’re recruiting top athletes or promoting wellness, we want to help you win. From college recreation and athletics to aquatic venues and community facilities, we create one-of-a-kind spaces that energize and inspire. Bring us your vision and we’ll provide unmatched experience that truly sets you apart. 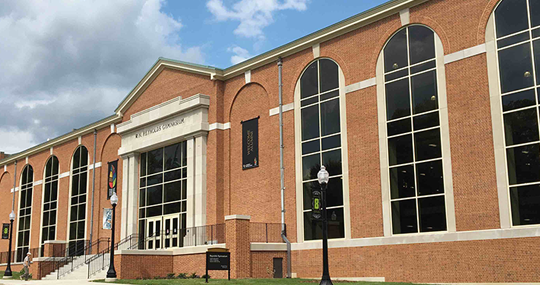 The transformed Reynolds Gym is the home to all things health and wellbeing at Wake Forest! View a list of our project partners.